Kidnapped from home and forced to live the life of a sled dog, Buck faces the harsh reality of life in the Yukon. Enslaved and passed from one owner to another, he witnesses the abuse and mistreatment of his fellow dogs at the hands of the human race, the like of which he had never imagined. Meanwhile, he realizes that his primordial instincts are returning to him. Buck, however, learns the ways of survival in this brutal life eventually becoming the leader of the pack. His love and devotion to his final master, John Thornton, who saves him from a cruel family, is inexplicable. Feeling his forgotten natural instincts coming more strongly now, Buck gets attracted to the call sounded from the deep forest luring him to wilderness, and away from civilization. One day, while Buck is away, the Yeehat Indians kill John Thornton. Stricken with grief and sorrow at the sight of his master's dead body, Buck attacks the Yeehats in revenge. He was no longer bound to a master, no longer bound to man. 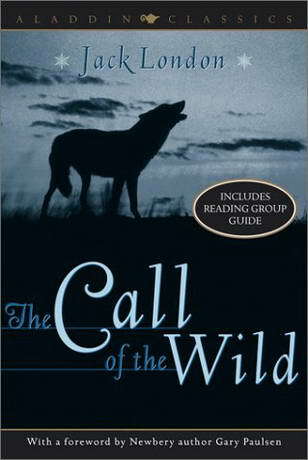 The death of his master breaks his last bond with human race and Buck returns to the wild for good, answering the call of the wild. I had been planning to read this book for a while and finally got hold of a copy this month. 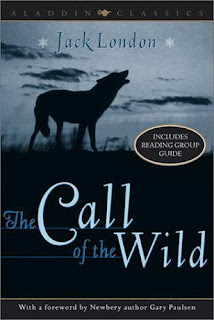 This book seemed to me a little boring as I began to read it but soon I was absorbed in the story of Buck. I had never ever read a book that so beautifully and vividly illustrated the feelings of an animal. Reading the sort of animal brutality in the book almost made me cry. I couldn't help loving the book. The story is actually a third person narration.